The city of Portland has a very good public transportation system. 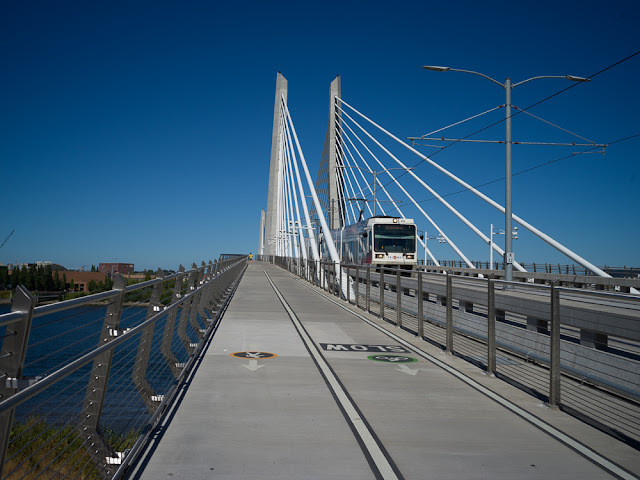 Therefore, it's not surprising that their first new bridge in 40 years across the Willamette River is the Tilikum Crossing, a multi-modal bridge that doesn't carry cars. The architect of the bridge was Donald MacDonald and the engineer was TYLin International, the same team that designed California's East Bay Crossing. This 1720 ft long bridge (with a 780 ft long main span) is the longest 'no-car' bridge in the United States. Tilikum is a Chinook word, which means 'The People' and so this bridge (owned by the Trimet Transit System) with its bike lanes and train tracks, is meant to provide transportation alternatives to all of the people and neighborhoods of Portland. 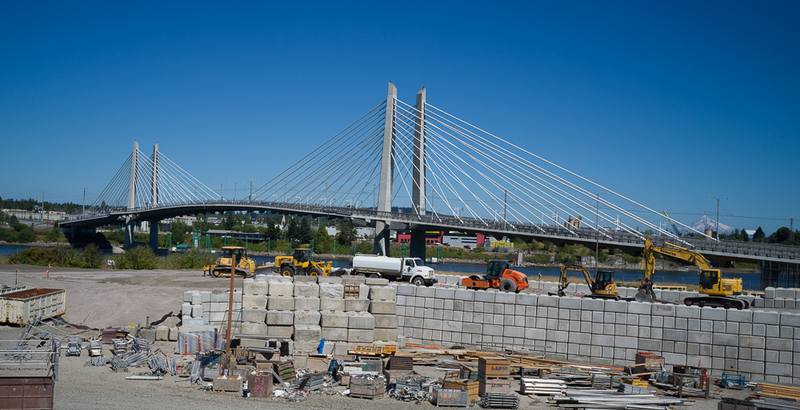 The Tilikum Crossing isn't as dramatic looking as MacDonald's and TYLin's East Bay Crossing. However, this is a community-friendly structure that goes a long way toward connecting all the people in the metropolitan Portland area. 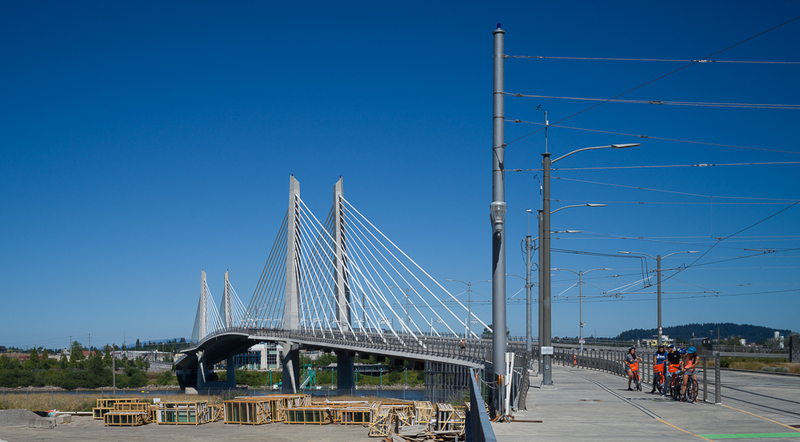 The cable arrangement at each tower is meant to resemble the shape of nearby Mt Hood, which can be seen if you look closely at the right side of the top photo. 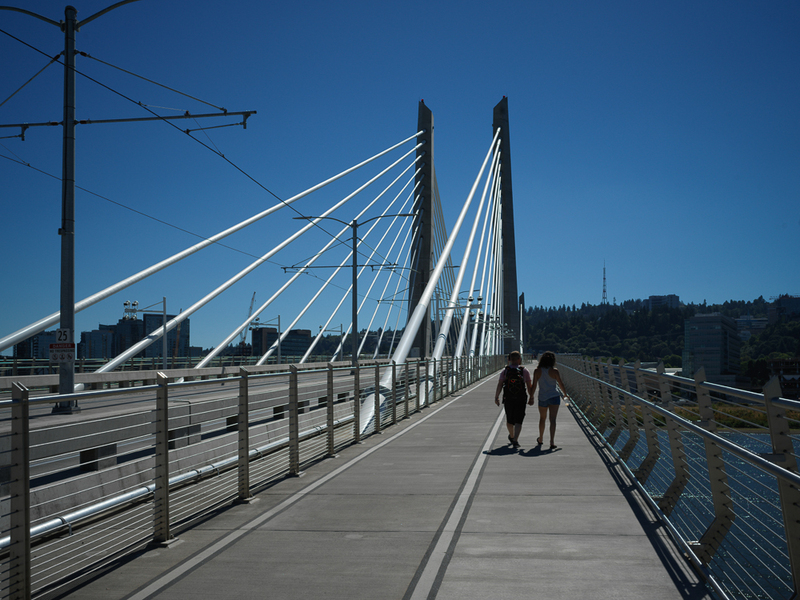 Two typos: Title, "Tillikup Crossing in Salem, Oregon" should read Portland. You list the owner as Trinet - - should be Trimet.